Are some foods better for weight loss than others? You bet! For example, 100 calories from a sugar-laden Coke will be fattening, while 100 calories from raw broccoli or a hard-boiled egg will be relatively slimming. Your brain won’t register the Coke calories as food, making you eat more (1, 2). But the calories from the hard-boiled egg or raw broccoli will contribute to fullness, making you eat less. In this respect, not all “calories” are equal. A calorie is not a calorie. Even though all calories contain the same amount of energy, they are NOT equal when it comes to effects on your weight. Different foods have different effects on hunger, metabolism and the hormones that regulate your weight. This is a scientific fact (3). Therefore, although calories are important for weight loss, the foods these calories are composed of are just as important. This brings me to the theme of today’s email … basing your diet on weight loss friendly “real” foods! What are weight loss friendly foods? Put simply, weight loss friendly foods are foods that are relatively slimming compared to their calorie content. They are either very filling, so you eat fewer calories — or they boost your metabolism, so you burn more calories. Additionally, some of these foods can cause weight and belly fat loss just by adding them to your diet. These foods are almost exclusively “real” foods. As in, whole, single-ingredient, unprocessed foods. In most cases, they contain either protein or fiber, or both. 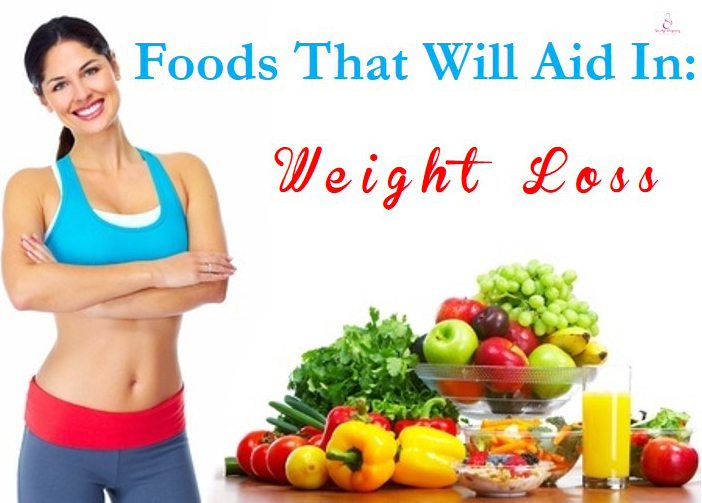 If you base most of your diet on weight loss friendly foods, then you will lose weight. It is pretty much guaranteed. You will also have more stable energy levels throughout the day. These same foods are also super healthy, so you will improve your health in all sorts of other ways. For these (and other) reasons, our weekly meal plans are largely based on weight loss friendly foods . I’m going to tell you about the 10 foods I consider to be the most weight loss friendly foods on the planet. If you eat one of these at most of your meals then it’s going to have a huge benefit for your weight (and health). Avocados have become insanely popular in the past few years, and for good reason — they are both tasty and incredibly healthy. Whereas most fruit is high in carbs, avocados are loaded with healthy fats. They are also very high in fiber, which helps you feel full (4). In addition, avocados are extremely high in vitamins and minerals (4). Eggs may be the single best food for weight loss. They are high in protein, healthy fats and pretty much every other nutrient that your body and brain need (5). Eggs are low in calories, incredibly filling and studies show that people who eat eggs lose more weight (6, 7). For example, eating eggs for breakfast has been shown to increase weight loss by up to 65% over a period of 8 weeks (7). Grains have gotten a bad rap over the past few years, but the truth is that not all grains are created equal. Whole oats are particularly nutritious and weight loss friendly. They are high in soluble fiber and even contain a decent amount of protein, which makes them incredibly filling (8). The powerful fiber in oats called beta-glucan has been shown to boost a hormone that is linked to reduced calorie intake (9, 10). Chicken breast is extremely high in protein, but low in calories. In fact, about 80% of the calories in chicken breast come from protein (11). It is also very high in various nutrients. Depending on how you make it, it can also be incredibly delicious. Chia seeds are now largely recognized as one of the healthiest foods you can eat. They are among the most fiber-rich foods on the planet, with about 11 grams of fiber in a single ounce (an ounce is 28 grams) (12). Chia seeds are also loaded with minerals and healthy fats, including omega-3 fatty acids. Fish is extremely filling. Eating fish once or twice each week can help you lose fat. It is best to eat fatty fish, like salmon, because it is so incredibly high in heart-healthy omega-3 fatty acids (13). Some studies show that the protein in fish is even more filling than protein from other foods (14). Yogurt is one of the healthiest dairy foods you can eat. It is high in protein, but also loaded with calcium — which has benefits for both weight loss and bone health (15). However, it is very important to read the ingredients list on yogurt. Some of them are also loaded with sugar. So choose plain, full-fat yogurt without added sugar. Best if it says “live or active cultures” on the label, because this means it contains probiotics, which are also good for weight loss. Studies actually show that full-fat, but not low-fat dairy, is associated with a reduced risk of obesity and diabetes over time (16). Low-fat yogurt is usually loaded with sugar, so it’s best to avoid that stuff like the plague. Most fruit is pretty healthy, but some are better for weight loss than others. Apples are very close to the top here. Due to their structure, they take a while to chew and eat. They score very high on the satiety index, a scale that measures how filling different foods are (17). Therefore, if you need a weight loss friendly snack, an apple is one of the best foods you can eat. Potatoes are another food that has gotten a bad rap in recent years, but this is a huge mistake. In fact, potatoes are highly nutritious and filling. In a study on the filling effects of foods, boiled potatoes scored a whopping 323% (17). This was by far the highest score measured, meaning that boiled potatoes may be the single most filling food you can eat. Almonds are extremely healthy and nutritious. They are loaded with fiber, healthy fats, vitamins and minerals. Interestingly, despite being relatively high in fat, studies show that people who eat almonds lose more weight. In one study, a low-calorie diet with 3 ounces (84 grams) of almonds increased weight loss by 62% compared to a diet enriched with complex carbohydrates (18). A study in 100 overweight women found that those eating almonds lost more weight than those in the nut-free group. They also lost belly fat (19). Nutrition science is very interesting. In fact, it is my single biggest passion in life. However … just knowing the science behind it is not going to help you lose weight, belly fat or improve your health. You need to put this information into action if you want to actually benefit from it. Our weekly weight loss meal plans can teach you how to incorporate all this knowledge into your daily life. The meal plans are based on super simple recipes . They all contain protein, avoid sugar and refined carbs, and are based on weight loss friendly foods. Additionally, they teach you how to turn all these weight loss friendly foods into incredibly delicious and satisfying meals. These foods have to taste good if you are going to manage to incorporate them into your diet and actually stick to it. Our meal plans help with that . That being said … tomorrow’s email will contain more info on how to put all this information into action. Without action, none of this knowledge will actually get you anywhere.